Six Kinds of Chess Players?! Yuri Averbakh was the speaker, and is one in a long line of people trying to classify chess players in one way or another. Terms like aggressive, solid, dynamic, and positional seem to float around all the time, while more recently, Lars Bo Hansen introduced the idea of four types of chess players based on how they think at the board: activists, reflectors, theorists and pragmatics. I was never quite sure where I fit into Hansen’s paradigm, and I’m not sure where I fit into Averbakh’s system either … Maybe I should crowdsource my label? Back in 2000, I beat my first FIDE 2600+ opponent at the Koltanowski Memorial in San Francisco. I had started out pretty well at the event: I drew in the first round with black against GM Shulman (where I had the better of the draw), followed by 2.5/3 against non-GM opponents. In round 5, I was paired with Ehlvest. At the time, he was about 2630 FIDE and in the top 50 in the world (not his peak as a top-5 player by rating, but still, I’d take either one!). 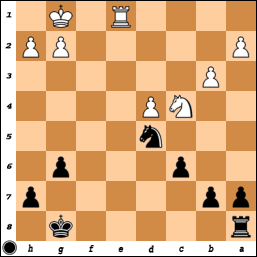 I was tempted with a little tactic to win White’s queen, and played 35…Ng3+?. 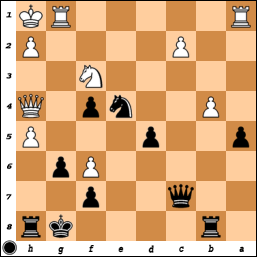 If 36.Rxg3, then White is just down an exchange with no compensation after 36…fxg3, while 36.Kg2 Rxh5 37.Qg4 Qxc2+ leads to checkmate. The US Championship started yesterday, and since I’ve gotten into the prognostication business, I might as well continue. One round is already in the books, but I made some predictions a couple weeks ago (I’m on the record elsewhere! ), so I’ll post them here: Kamsky and Shulman from Group A, and Onischuk and Christiansen from Group B, with Onischuk winning the title in the end. The highest rated player in the country is not playing, which should open up the field a bit. Given that Nakamura lives in St Louis and seems to be sponsored by the Chess Center there, I’m chalking it up as another reason to think Kasparov is working with him. He does have a couple super-tournaments lined up in the next few months, though, so he can try to build on his Wijk aan Zee success.